Mexican tennis player Daniel Garza has been suspended for six months after being found guilty of “influencing the outcome” of a match. The game in question came at the International Tennis Federation (ITF) USA Futures 11 tournament in Calabasas in California, in March 2015. He was investigated by the Tennis Integrity Unit (ITU) with the case considered by independent anti-corruption officer Richard McLaren at a hearing in Miami on September 12. “The offence for which the player has been suspended falls under Section D.1.d of the TACP: No Covered Person shall, directly or indirectly, contrive or attempt to contrive the outcome or any other aspect of any Event,” a TIU statement said. Garza is currently ranked number 1,064 in the world after reaching a career-high ranking of 294 in 2012. 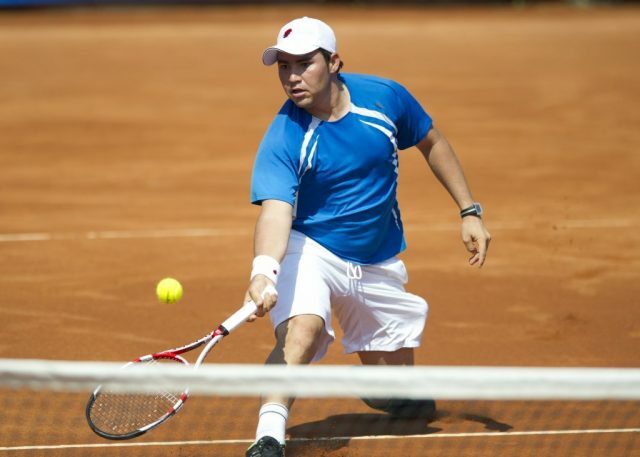 He won mixed doubles gold at the Central American and Caribbean Games in 2010 and represented Mexico in the Davis Cup. The TIU has also fined him $5,000. The incident is the latest scandal to hit tennis, which has a particular problem with the issue at lower-level tournaments where the prize money on offer is not as great. Turkish tennis officials Serkan Aslan and Mehmet Ulker were both banned for life after being found guilty of offences under the ITF’s code of conduct last month. This came after Uzbekistan umpires Sherzod Hasanov and Arkhip Molotyagin were banned for life for betting offences, while French player Constant Lestienne received a seven-month ban and a fine of $10,000 for gambling on 220 matches between February 2012 and June 2015. His sanction was followed by Joshua Chetty of South Africa being banned from tennis for life after he was found guilty of attempting to fix matches. McLaren, who presided over Garza’s case, is best known for the McLaren Report which revealed allegations of state-sponsored doping in Russia, particularly at the Sochi 2014 Winter and Paralympic Games.